Dals (split pulses , lentils or legumes) are staple source of protein in Indian diet . Makes delicious soups. One day i read a post about Chana Dal and how good it is for people with Type I diabetes because of its very low glycemic index . Ever since i try too cook more with it . I have used spinach in this recipe but it is totally optional. Tomato - 1 cup, chopped fine. 1. Wash and soak chana dal and urad dal for 1 hour . 2. Heat oil and butter in a heavy saucepan or pressure cooker on medium flame. 3. Add cumin,bay leaf,cardamom, cinnamon and nuts and cook for a minute. 4. Add ginger garlic paste and onion and cook till onion is golden . 6. Add turmeric, red chili, coriander pw and cook for 30 seconds. 7. Add tomato, salt and cover and cook till oil separates . 8. Add spinach , dals and add 2 1/2 cups of water. 9. Cook till dals are well cooked. 10. I use pressure cooker and cook for 25 minutes or 3 whitsles. 12. Serve with rice or chappati with a lemon wedge and little butter. I am sending this Delicious Dal Event @veggie platter . Thanks for sending over this spicy, lovely dal. 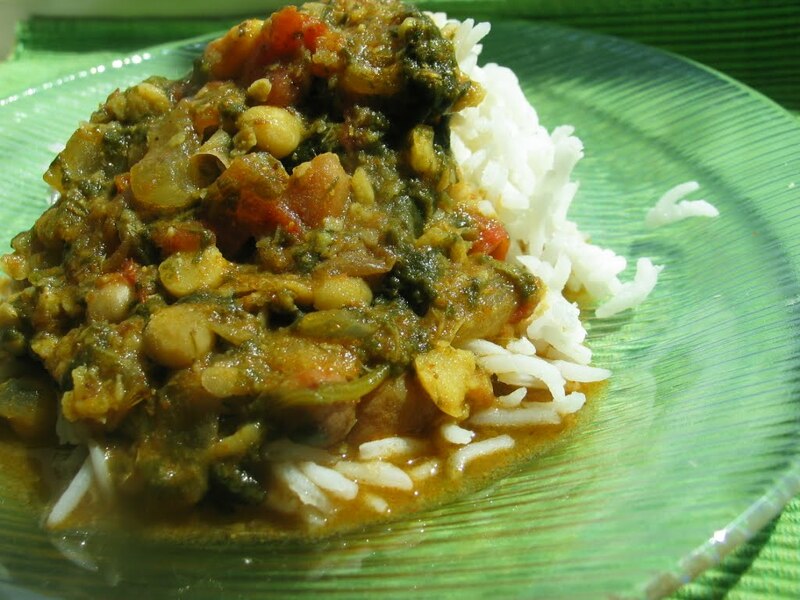 nice name...very healthy with dal and spinach ! Lovely dish, Nisha..So healthy and tasty! I would love to have it with chapatis.. Very nice name for the dal dear...looks soo delicious n yummy with hot rice. Very delicious looking dal and nutritious too.Thanks for sharing. Cool name looks like a beautiful daal, wil have to try it. Great Post! Nice Dal..Loooks very rich as name suggests! !